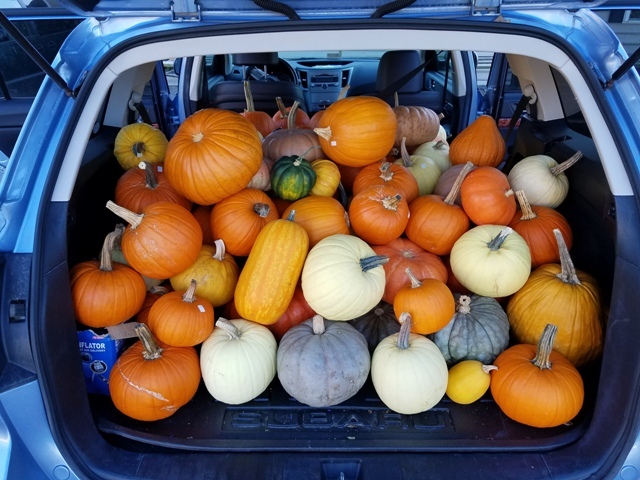 How many pumpkins can fit in the back of a Subaru Outback? The correct answer is: This many. Wishing you a peaceful and happy Thanksgiving. 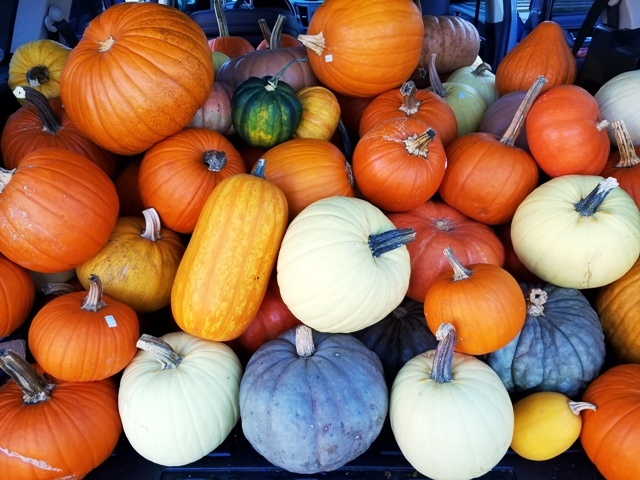 And, because some of you asked, I am sharing with you the blessings from our Yoga classes last week — along with some from previous Thanksgiving classes. I have looked for other blessings of gratitude over the years, and there are beautiful ones out there, but this is the one that I always come back to. It is from W.E.B. Du Bois, the tireless civil rights leader and author. I’m sharing all these with you again to inspire you (“inspire” being simply the sneaky way of saying … I’m “reminding” you) to unroll your mat sometime this week … and infuse your practice with gratitude and a smile. Even if you do just one asana this week — just one — be grateful that you can.